Two men are believed to have contracted West Nile virus in Spokane County. The Spokane Regional Health District said they are the first people to acquire the mosquito-borne infection in Washington this year. One man, who’s in his 60s, remained in a hospital Monday receiving treatment for the virus, and the other, who’s in his 50s, was recovering at home after a brief hospitalization. The health district said a third Spokane County resident likely contracted the virus out-of-state and was also recovering. Idaho officials reported earlier this month they had confirmed 10 human cases of West Nile virus this year. Five of those cases were of the most severe type, which can infect the brain or spinal cord. In 2006, Idaho led the nation for West Nile illnesses with almost 1,000 human infections that contributed to 23 deaths. 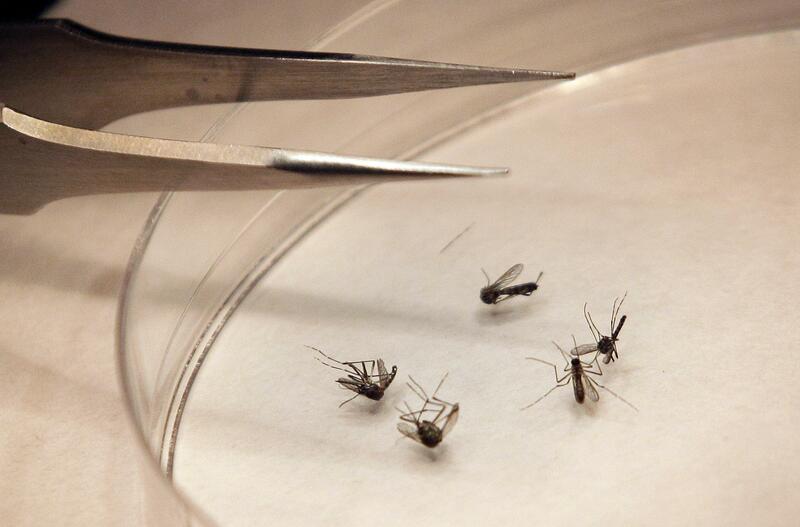 West Nile virus was first detected in Washington in 2006. Last year the state saw nine confirmed human infections, one of which killed a Benton County woman who was in her 70s. Mosquitoes, horses and a bird recently tested positive for the virus in Spokane County, according to the health district. The virus has been detected in nine counties in eastern and south-central Washington this year. A person usually shows symptoms of West Nile virus two to 14 days after being bitten by an infected mosquito. The virus is not passed from one human to another. There’s no vaccine to protect humans from the virus, although there is one for horses. Symptoms can include headache, fever, nausea, a stiff neck, muscle and joint aches, swollen lymph nodes and a rash, although the health district said up to 80 percent of people will experience no symptoms. People 60 and older, and those with compromised immune systems or other medical conditions, are at a higher risk of becoming ill.
Those who experience severe headaches or confusion should seek medical attention. The worst cases can lead to meningitis or encephalitis. Mosquitoes in the region will begin to die off throughout the fall, but the health district said people should continue taking precautions. The health district recommended using insect repellent; wearing long sleeves and long pants; avoiding the outdoors at dawn and dusk, when mosquitoes are most active; repairing window screens; and removing standing water that can provide breeding grounds for mosquitoes. That means routinely draining any outdoor items that hold water, such as gutters, pet bowls, tires and bird baths. Published: Sept. 25, 2017, 5:59 p.m. Updated: Sept. 25, 2017, 11:10 p.m.